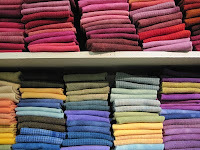 I asked Paulette to dye us some fun bright colors of wool. Guess what! She did! Don't they look great? Hurry in before they are gone. Guess I can ask her to dye more- next time she will bring in some soft and pretty pastels. Thursday morning. That was the day I finally made the decision to order Cosmo Floss from Lecien. This beautiful 6-strand floss is made in Japan of pure Egyptian cotton. We will have all the colors along with a DMC conversion chart. Look for it sometime in early April. 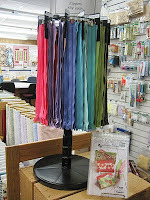 A lot of top designers use this floss including Meg of Crabapple Hill. 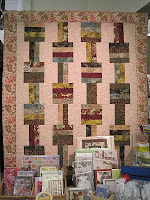 I had a great time Saturday using the fun colored zippers from Atkinson Designs. 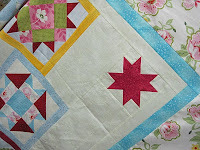 Terry's new pattern- Cash and Carry is so fun to sew and so simple! 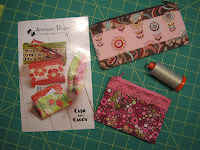 There are 3 styles of tiny little bags to sew- I can't decide which is my favorite. 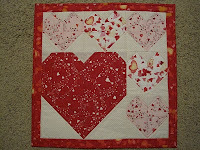 I just know I will make lots of them for friends and family. Directions for putting in the zippers couldn't be easier. The visuals are great. Each bag is completely lined- you don't even realize your have the lining done until you have finished your bag- bet you can't make just one!